In addition to being a very attractive country, Vietnam and more precisely Saigon, has been my brother’s new home for a bit over a year now. It was a milestone that we couldn’t miss and although I usually don’t like big cities, I enjoyed living there. This covered market is one of the most popular landmarks in the city. 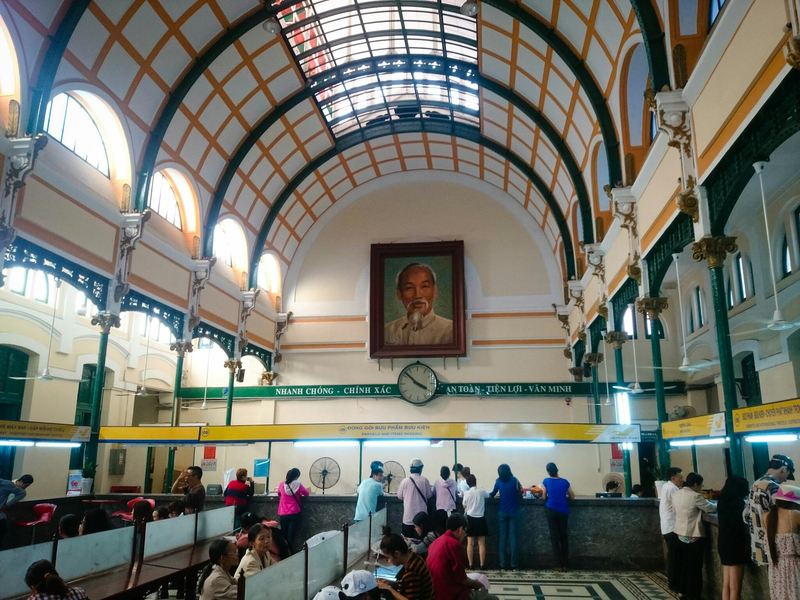 Located in the heart of Ho Chi Minh, it is the first place we visited, after a hectic first motorbike ride through streets that seemed like an ant farm. 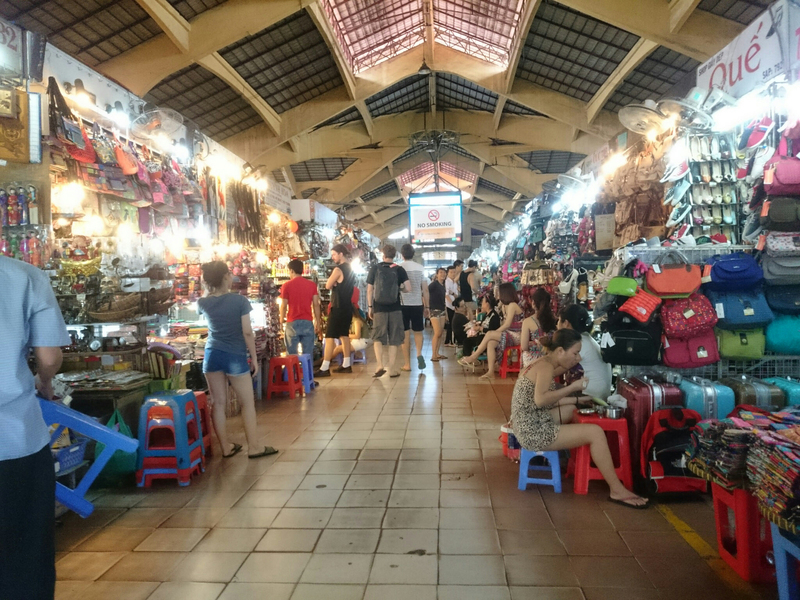 The market has a lot to offer from food to souvenirs and our first image of Vietnamese people on their traditional miniature plastic stools trying to catch our attention. Like most of the time in Asia, you have to be ready to negotiate if you set your eyes on something. I didn’t have a clear image of what Vietnamese cities looked like before actually going but I sure didn’t expect to see skyscrapers in Ho Chi Minh, making it more modern than I thought it was. Some of them even have rooftop bars like the Chill Sky bar or the Glow which I both enjoyed, as much for the atmosphere as for the view over the city at night. 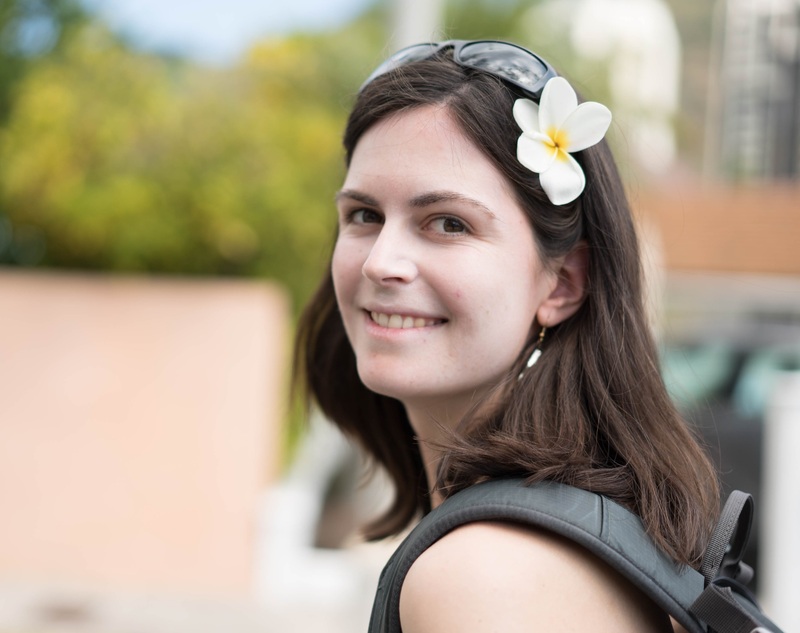 With all the temples and pagodas we had seen in Japan and Hong Kong, we were going through some kind of temple burnout and we didn’t really want to see too many of them in Ho Chi Minh. We heard that the Jade emperor pagoda was very pretty though, so we decided to go have a look. 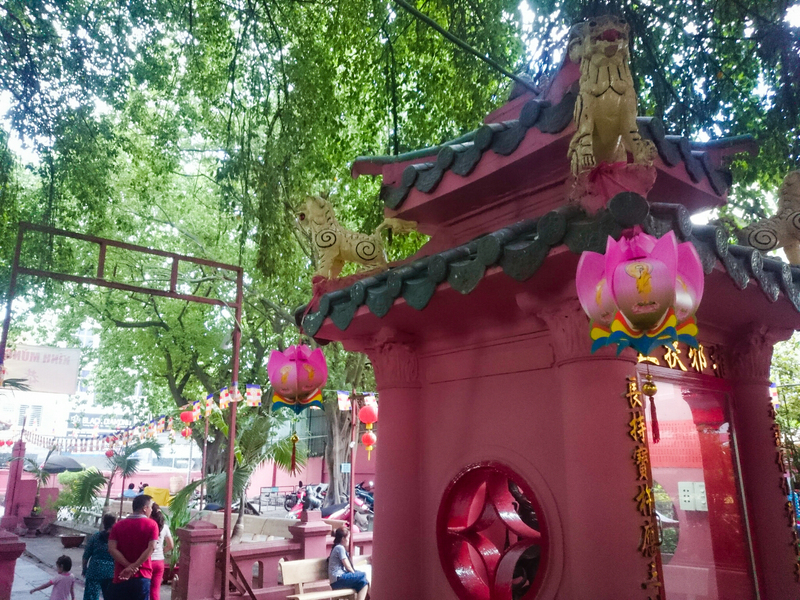 This Taoist pagoda is fairly small and we didn’t spend hours there, but we liked the calm of this place in the heart of a very busy area. It reminded me of small temples in Hong Kong, showing some Chinese influence. 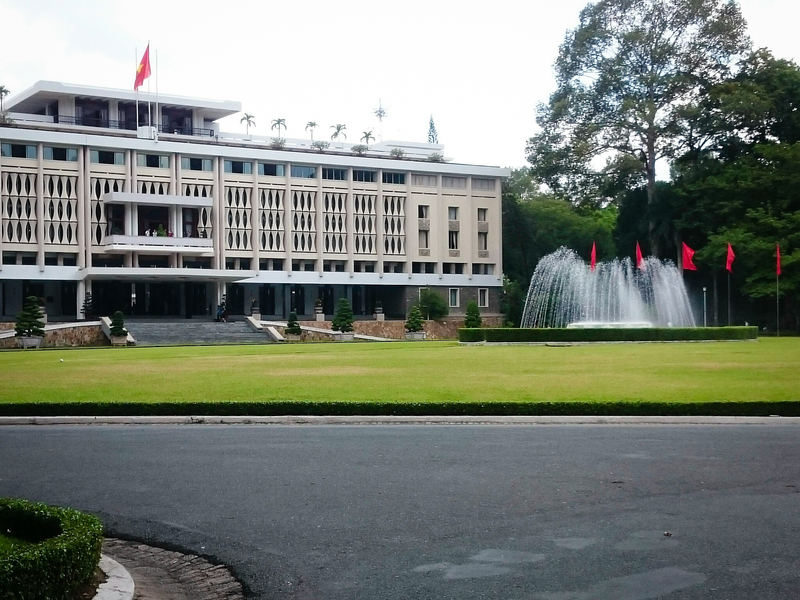 The Independence Palace, or Reunification Palace is another important landmark of Ho Chi Minh. This huge and pretty building contrasts with the rest of the city, mainly because of its partly modern architecture. It was used as a presidential home and hosted official meetings, making of it a remembrance of war time. 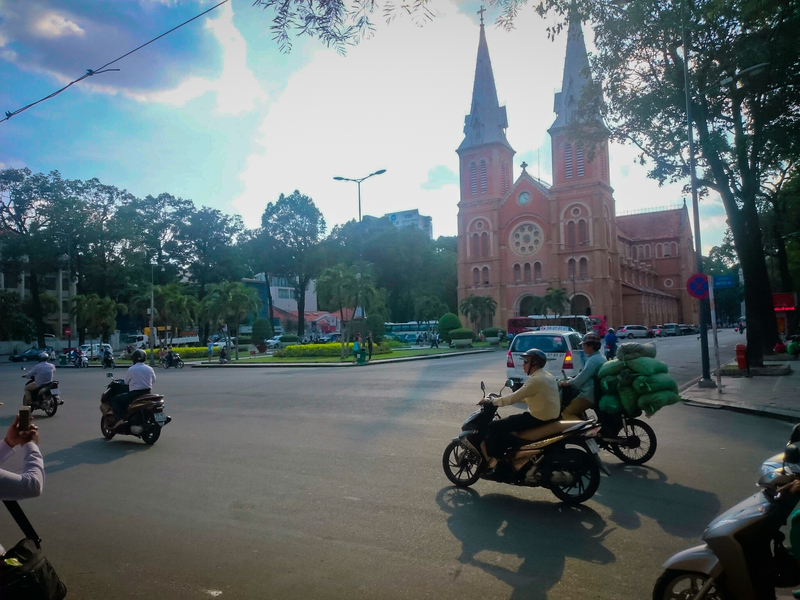 Located in the heart of downtown, the cathedral is a trace of the French colonial era. Its red bricks that were imported from France are very recognisable. The post office stands right next to the cathedral and also reflects a typical colonial French architecture. Nguyen Van Binh Street ended up being one of my favorite places in the city. We were rather randomly wandering in the area of the cathedral when we found this ever so cute street filled with book shops and book cafes. We hesitated to visit this museum. I have quite a sensitive mind and I wasn’t sure I would be able to bear what I would see there. The place is huge and gathers several exhibitions about the Vietnam war, which Western tourists usually know little about. Although we haven’t seen it all, it was very informative and I don’t regret we went. 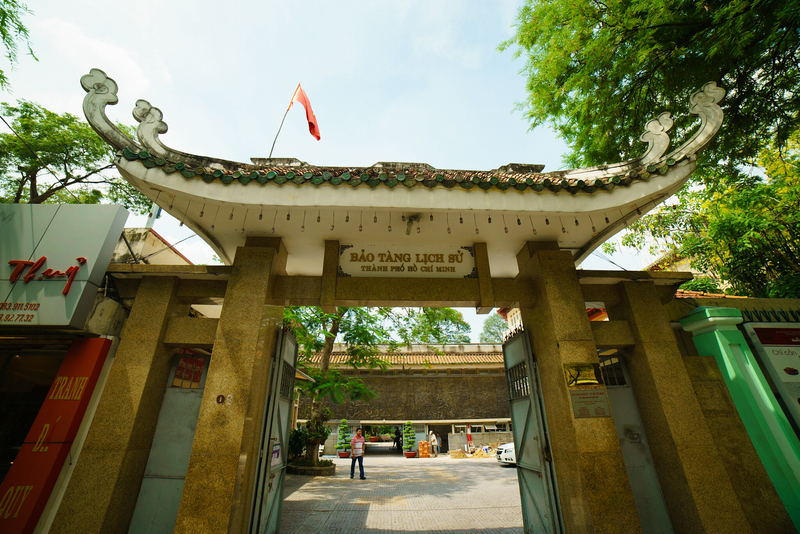 The Vietnamese history museum is very instructive and helps understanding the country’s culture while not being as big of a shock as the War museum. 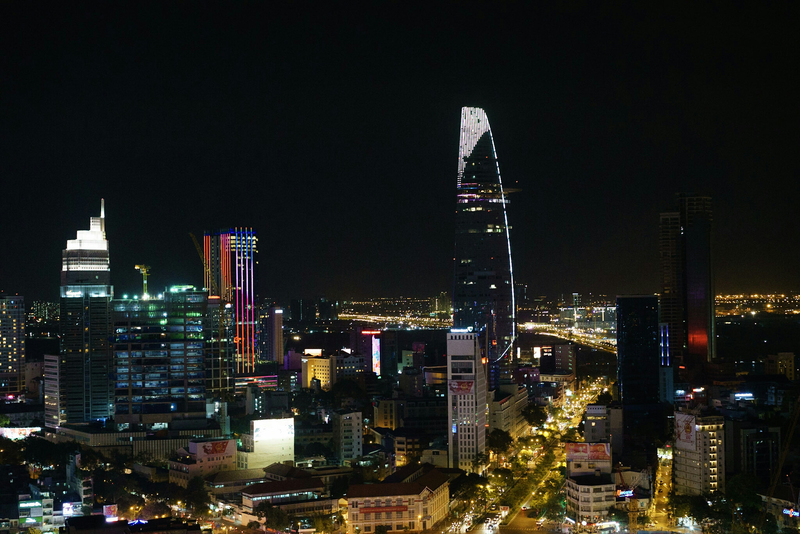 Big commercial centres are booming in South-East Asia and Ho Chi Minh is no exception. We wandered in the Diamond Plaza and were very surprised at how clean and luxurious it was. 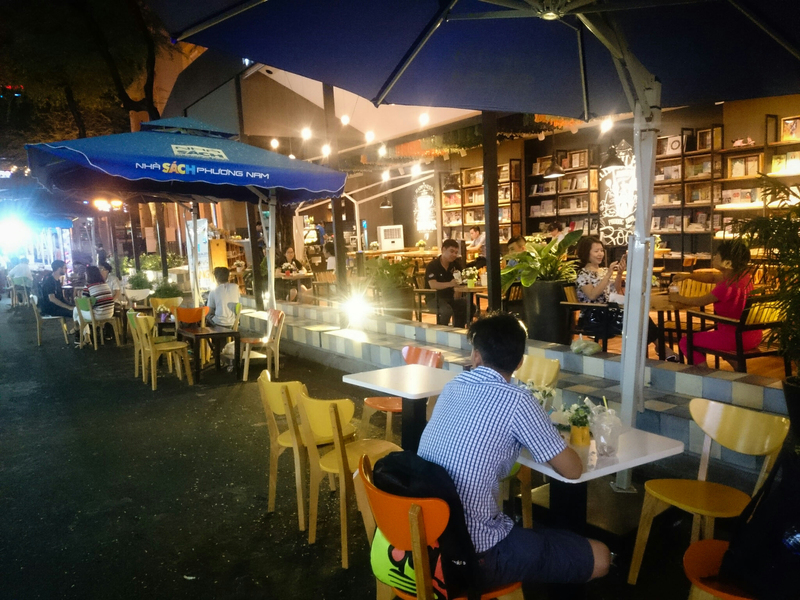 It definitely marks a big contrast with other parts of the city, defined by electric cables, street food stands and never ending flows of motorbikes. 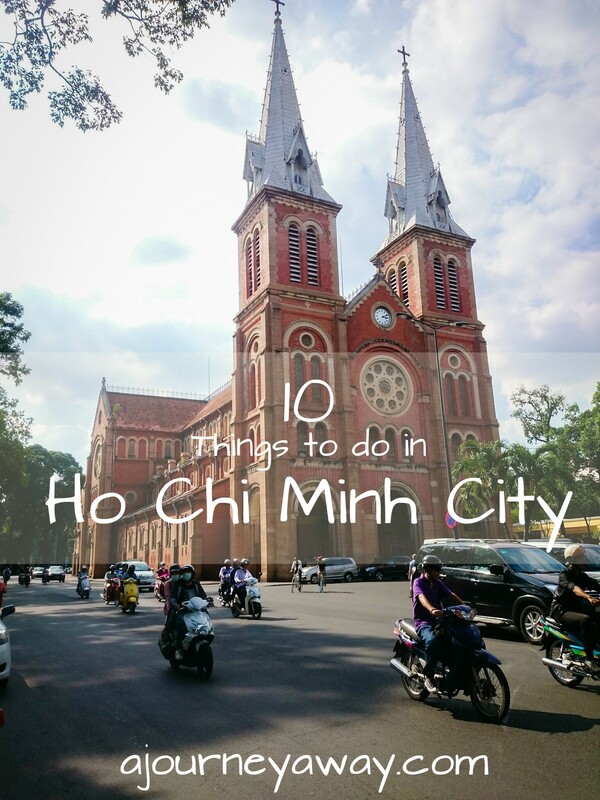 In addition to being able to see a lot in the city, spending a whole month in Ho Chi Minh allowed us to really see what life is like there. It didn’t take us long to make news habits and feel comfortable enough. It is definitely a place I would gladly return to.